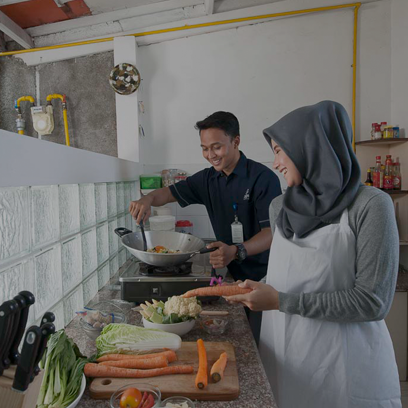 GasKita is present to meet the energy needs of your home in the provision of natural gas for the activities of cooking the family’s favorite foods, water heaters, clothes dryers and other gas equipment for the beloved family. GasKita is also present as a good energy source choice for your small businesses, such as hospitals, worship places, restaurants, offices, and similar commercial activities. Aside from being used for cooking purposes, natural gas can also be used to heat water heaters, bathing needs, or washing dishes. Natural gas can also be used by clothing dryers. Natural gas is used to support small business activities, such as cooking various foods for culinary places. Its easy and practical usage is very helpful to Customers in this business sector. Health facility services business sector, such as hospitals, use natural gas for cooking , dryers, and water heaters. For social services such as orphanages and nursing homes, natural gas can be used to meet kitchen needs in preparing dishes, and the need for warm water for the residents of the orphanage. Natural gas can be used for cooking activities in the kitchen and office canteen, warm/hot water needs, as well as lighting and air conditioning in small-scale offices. Natural gas can be used for cooking needs at lodging kitchen and canteens, warm/hot water needs, as well as lighting and air conditioning in small-scale offices. PGN's safe and friendly natural gas helps with cooking activities in the kitchen, and meet other energy needs, such as warm/hot water at worship places. Gas subscription form can be obtained through PGN Contact Center at 1500 645, the closest PGN area office near you, download here, or through online registration. 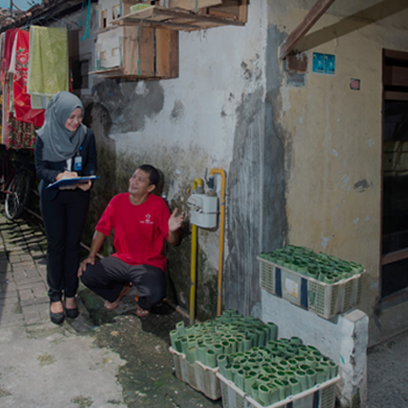 A PGN officer will contact a prospective customer for verification, data collection, and discuss the prospective customer's gas needs plan. Prospective Customer and PGN will sign a gas sales purchase agreement after the entire subscription evaluation process is completed. PGN will then prepare the gas infrastructure, starting from the main pipeline network to the gas measuring unit at the customer's location. Meanwhile, the prospective customer builds indoor installation pipeline and prepare the equipments that use gas. Gas In is the flowing of gas to a customer's gas-using equipment, and is conducted after the entire process is completed. Find how much you can save from your spending by shifting to using the natural gas of PGN through three simple steps. "Since using PGN’s natural gas on March 2016, it has been proven to be very supportive in our household life. The natural gas is practically easy to use, the services of PGN officers are the heart-warming and honest, and our spending is more cost-effective. We are very satisfied. PGN is Awesome." Description in the General Conditions on requirements and conditions in the implementation of gas delivery that must be complied with, and legally binds PGN and Customer. How do I subscribe to PGN's gas? Contact a PGN Sales Person. Prospective Customers can fill in the Registration Form after reading and approving all the General Gas Subscription Provisions of PGN. The Prospective Customer can then provide the required registration documents. PGN will perform pre-verification of the suitability of the data after receiving the Registration Form. If qualified, PGN will contact the Prospective Customer for location survey implementation and discuss gas usage requirements. Once the location survey is completed and is deemed as appropriate, PGN will conduct validation by issuing Proof of Registration that informs the administrative obligation to be settled by the Customer such as Payment Guarantee Cost and Installation Fee of Inside Pipe (as applicable). Once the Prospective Customer has met all the administration requierments, PGN will issue Proof of Gas Subscribe, and Gas infrastructure construction can be conducted. PGN will conduct initial distribution of Gas (Gas In) to Customer at the handover spot in accordance with applicable provisions in PGN, and is issued in a Record of Gas In. What is the difference between Household Customers and Small Business Customers? Household Customer (RT) is a group of Customers who use gas for their own needs and are not commercial and / or service with a usage range of 10 - 50 m3 per month or adjusted to the requirements in the applicable BPH Migas regulations. Meanwhile, Small Business Customers is a group of Customers who use gas for commercial and / or service activities with a usage range of 51-1000 m3 per month or in accordance with the provisions in the applicable BPH Migas regulations. What are the differences between Household 1, Household 2, Small Business 1, and Small Business 2 Customer Groups? Household 1: Household Group, consists of apartments managed by the government, Military and Police official residences, simple houses, very simple houses, and similar houses used for residing. Household 2: Household Group, consists of medium houses, luxury houses, apartments, private apartments and similar residences that are used for residing. Small Business 2: Small Business Group that uses gas for commercial activities, such as micro, small, and medium businesses, hotels, restaurants, cafes, private hospitals, private offices, private educational institutions, shops/stores/home stores/home offices/markets/malls, and similar coomercial activities. How is gas usage calculated? Customer is imposed with calculation of Gas usage payment per Month by the amount of Gas used multiplied by the applicable Gas price. If the usage is below the minimum contract then the calculation of payment of minimum volume multiplied by existing Gas price. If the use above the maximum contract will be subject to Gas price in accordance with the applicable provisions of excess gas usage. When and how can a customer obtain information on gas usage billing information? Information on gas usage per month can be obtained starting on the 5th (fifth) to 20th (twentieth) date of a month through PGN Contact Center, PGN Mobile application, or PGN website. When and where can customers pay their gas usage bills? Customers can start making billing payments starting on the 6th (sixth) date of a month, and by the 20th (twentieth) date the payment is received by PGN. Gas bill payment can be conducted through teller facility at Bank Mandiri, ATM Bank Mandiri, BNI, BRI, BTN, BCA, PPOB (Payment Point Onlne Bank), and Indomaret. 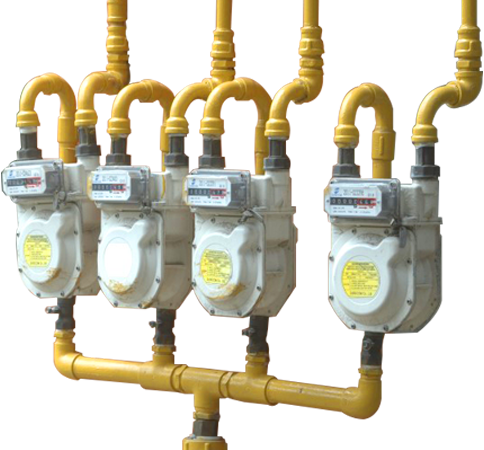 How do customers detect and prevent gas leakage? Tips for customers in detecting and preventing gas leakages can be seen on brochures and existing customers videos.